Intel Core i5-5200U vs Core i7-5500U - which one's the better deal? Intel Core i5-5200U vs Core i7-5500U – which one’s the better deal? 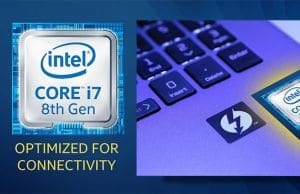 Most of the Broadwell U powered laptops you can find in stores right now are available with both Core i5 and i7 processors, and among them, the Core i5-5200Us and the Core i7-5500Us are some of the most popular options, as they are the base models in their classes (mid-range for the i5, high-end for the i7). In this post we’re going to have these two side by side in a short comparison. At the time of this article I’ve already tested several configurations powered by the i7 CPU, as well as one powered by the i5 processor, the Dell XPS 13 2015 (here’s the full review). Keep in mind that both of these are low-voltage processors from Intel’s Broadwell U platform, designed to provide a solid balance between performance and efficiency, but neither are very powerful and should not be your first picks if speed is what you primarily want in your laptop. 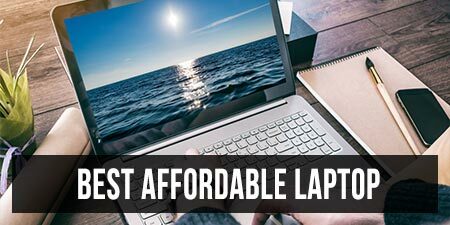 If you do plan on getting a highly portable everyday laptop and don’t know for sure which of the two CPUS provides the best bang for the buck, then this post will answer most of your questions. For starters, let’s have a quick look at the specs. On a first look there’s not a lot extra offered by the i7 processor. It has 33% more cache memory and both the CPU and the integrated Intel HD 5500 graphics run at slightly higher frequencies than on the i5, but in everyday use you’ll hardly actually notice the difference between the two, if they would be placed on similar configurations (more about that in a second). In fact, both can handle browsing, text editing, all sorts of multimedia content and even some casual or less demanding games. The i7 is 5-15% faster at high loads, but from my experience that’s nearly impossible to observe with the bare eye, even when having them side by side. I’ve ran a couple of benchmarks and they also back-up what I’ve said above. Check the numbers. And make sure you also read the observations below. And some gaming results, with all the titles running on 1366 x 768 px resolution with LOW graphic details. The numbers above are of course affected by the other hardware components in your computer and should only be taken just as a general reference. Both test computers were running Windows 8.1, but the i5 was paired with 4 GB of RAM and an SSD, while the i7 was paired with 16 GB of RAM and a 7200 rpm HDD. On the other hand, one of the more recent laptops tested recently, which included the Core i7-5500U processor, 12 GB of RAM and an SSD, scored lower than the reference used above, as you can see here. So what I’m saying is there are many variables that can affect benchmark results. But even so, the long story here is fairly simple: the Intel Core i7-5500U is not significantly faster in any way than the Core i5-5200U processor. And the difference between them is barely noticeable in daily use. The i7 is however more expensive, by about $100. Thus, if you want a thin and light ultraportable for casual daily activities, a Broadwell U Core i5 processor would suffice and the i7 won’t offer a lot more on top. The i5 will also be slightly more efficient, as it runs at lower frequencies, which should only translate in roughly 5-10% longer battery life (varies which each implementation though). Still, there’s another aspect to consider. Most manufacturers tend to bundle the i5 CPU with lower-end configurations only. That could include in some cases just 4 GB of RAM (which is most of the time soldered on the motherboard, thus not upgradeable), limited storage space (which again might not be upgradeable, although that’s not usually the case), but also other features like a lower resolution display or slower connectivity options (Wi-Fi N vs AC). Thus in some cases you might just be compelled to get the i7 anyway, which will generally cost you several hundreds extra, as this processor will usually be bundled with other upgrades. So at the end of the day, while the Intel Core i7-5500U is not significantly faster than the Core i5-5200U processor, it does provide a 5-15% boost in some applications, especially those that require a great deal or resources. If that’s not the case and you only want a computer for casual use and everyday activities, the i5 should be your pick, if the available configurations suit your other needs and requirements (apart from processing power). On the other hand, if you do need the speed, you should also consider the 28W versions of the Broadwell U processors, specifically the i7s, which are 10-30% faster than the 15W i7s and also bundle more capable graphics, but sacrifice battery life to some extent. Still, that’s something we’ll address in another article. For now, that’s about it. That’s what I consider you should know about the Intel Core i7-5500U / i5-5200U processors and hopefully the article will help you better understand the differences between the two and decide which is the better pick for what you need. If you’ve got any questions or anything to add to the post, the comments section is open and I’m around to reply. 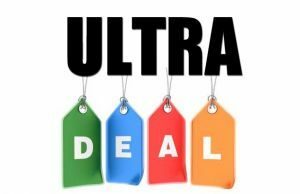 And if you’re interested in Broadwell ultrabooks, you should definitely check out this other article, a complete list of all the Broadwell powered ultraportables available in stores. Next Story → AMD Carrizo – a breath of fresh air for mid-priced laptops? Nice, but i have to say that what i really noticed is the XPS 13 review. I am looking forward! Give me a few days, I’m working on it right now. How about i3 versus i5 let’s say in Dell XPS 13 configuration? I haven’t yes tested the i3 on any configuration and can’t say for sure. Based on specs alone, the i3-5010U has a base frequency of 2.1 GHz 3 MB of cache and 300-900 Mhz Intel HD graphics. So it’s very close to the i5 BUT, big BUT, seems to lack Turbo Boost. That means that while the i5 can go up to 2.7 GHz when performing casual activities, the i3 cannot. Based on that alone, I’d say graphics performance should be very close, but the i3 is going to be 5-20% slower than the i5 in terms of CPU performance. Extremely useful comparison. Any idea when the xx50 chips (HD 6000 graphics) are going to make their way into the market? Worth waiting for? I for one am waiting for any laptops to turn up with the 28 W Broadwell CPU’s. I had high hopes for an upgraded Asus UX301, but while there are Broadwell options, all are 15 W. Sigh. I don’t think your point at the end is accurate. 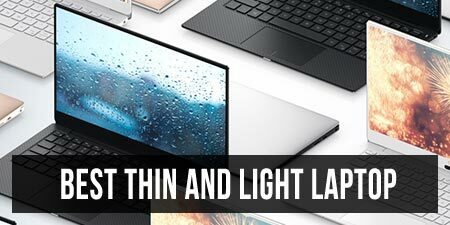 You can get the XPS 13 with an i5 and 8gb RAM and/or 256GB SSD off at Dell’s website – they (of course) cost more than the i5 with 4gb RAM and 128gb SSD but they are available. Just such a configuration can be bought here (dell.com/us/p/xps-13-9343-laptop/pd?oc=dncwt5130s&model_id=xps-13-9343-laptop#overrides=dncwt5130s:8~256SSD) and has been available since they first hit the website. Right, I probably fuond out about that model after I wrote this post, since I got my unit from Microsoft Store and not from Dell. Thanks, I’ll go ahead and address that section. Andrei, I am looking at the Dell XPS 13. I am between the i5/8GB/256GBSSD and the i7/8GB/256GB SSD. There is roughly a 200-300 price difference between the two. I will be using Photoshop and GoPro video editing software. Will the i5 work fine for those programs? If you can afford the i7, get it. You’ll need every bit of power for Photoshop and Premiere, to whatever else you’ll use to edit videos. The i5 will handle those tasks as well though, so can be an option, but the i7 is a better long-term investment imo. i actually have a real concern on choosing between the i7 and i5 version of dell xps 13. Currently living in korea right now and the dell’s korean website only provide a i7 model with 8 gigs of ram and a 256 ssd drive with an FHD model, and a i5 4 gigs of ram with 128 ssd model with also the same FHD model. What i’m really concerned about is the battery life difference. Both of the models have the same screen resolution, but with different processors, will there be a big difference in the battery life? I would really prefer the 8 gigs of ram version where i’m planning on using this laptop for a long time, i’m just curios about the battery life difference with different processors that have the same resolution. There’s not going to be a major difference in everyday use. In fact, I’d say it will be rather minimal, withing 30 minutes or so based on various activities. I’d get the model with 8 GB of RAM as well, since that cannot be upgraded. so the main battery life difference would be in the screen resolution of the laptop from FHD and QHD? yes, that will have a significant impact, that’s why the i7 QHD model gets 1-2-3 hours shorter runtimes than the FHD i5. Very important question i’ve got dell xps13 9343 i7 8gb qHD touch version and if i change on my pulpit resolution From 3200x to fullHD it will efficent long life battery on qgh touch variant just like in FullHD option?and changing screen resolution on pulpit will help in games to get more FPS and work faster?? Not sure what “pulpit” means, but if I understoof what you’re asking, NO< chaging the resolution won't help with battery life on any way. As for the games, you can change the in-game resolution cause you won't be able to run most things on 3200 x 1800 anyway. Thank You Andrei, you’re second to none! Thanks for the post dude. You saved me 260$ straight away. I was looking at buying the ASUS UX303LN I7-5500U 8GB 256GB SSD laptop which is placed at 1600$ (AUD). There is also the UX303LA I5-5200U 8GB 256GB SSD at 1345$(AUD). I then started comparing both of their processors at CPUBoss which resulted in, both of the processors are very very close to each other. And then I found your Blog which provided a detailed post mortem of what really the I5-5200U and I7-5500U place themselves at. Glad Mate!!. I now came to a conclusion that I will go for the UX303LA (I5 *G 256SSD)..
And with some of the saved money I will see if I can buy a couple of pints(The Australian style of hospitality).LOL.!! But the UX303LN also gets the dedicated Nvidia 840M graphics, you know that, right? The UX303LA relies solely on integrated graphics. From what I am seeing almost all these slim laptops with 8GB of ram all run in single channel which looks like about a 20% loss in performance in light gaming and certain applications. Do you know if that is correct? This is according to Notebook Check. Is there a slim small laptop that runs in dual channel? Hmmm, where did you get that? The memory works in dual-channel on all of the Core U Broadwell machines. it looks like the XPS Dell models that are 8 gig running dual channel all the other models I test it at Best Buy running single channel except for the Toshiba which I just picked up runs dual channel. I’m using cpuz to test them. First of all, thank you for the effort and a great work! I am not a gamer – I an architect, and my daily tasks stretch from the basic AutoCAD 2D drawing to the heavy stuff, such as 3ds Max modeling/rendering. I have a desktop computer, so this is just about getting myself a strong enough and reliable laptop. I wanted to ask for your opinion here. Will this new Core i7 5500U, paired with the VGA: Nvidia GeForce GTX 840M 4 GB, be a good choice for me and my work? Well, you’re going to need a fast processor and as much RAM as possible for such tasks, based on my limited experience with 3DSMax and Maya. Thus I’d personally not go for an ULV processor, bur rather for a quad-core full-voltage platform and a configuration with 16 GB of RAM. What’s your budget? And do you need a 17 inch laptop? Also, would you prefer something lighter and thinner (but potentially more expensive and hotter under load), or would you be OK with a more regular kind of laptop, a bit heavier and thicker (around 1 inch and between 5 to 6 pounds)? 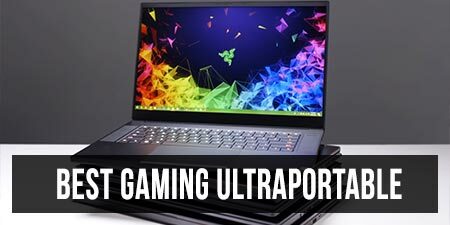 I’d be looking at these things: https://www.ultrabookreview.com/4928-zenbook-nx500-macbook-pro/ , as well as the Acer Aspire V 15 Nitro 591G or some of the machines in this list: https://www.ultrabookreview.com/2071-best-gaming-ultrabooks/, which are not just gaming units, but fast ultraportables in general. Thank you for the quick reply and for the suggested brands and models, of course! I will go through those! This Lenovo came with a very good price, as a part of a current job offer. Of course I am perfectly aware of the fact that a quad-core and a 16 GB of RAM configuration would do the job far more smoothly, but, with a couple of ongoing “ventures” of a sort, I am not really able to stretch my budget to the limits at the moment. Hence this “first aid” solution. For those extremely heavy tasks, I could always jump back to my desktop computer, but I wonder if the laptop I was aiming for could sort those, let’s say – semi-hard ones out, without major issues and failures, especially if I, say, add additional 8 GB of RAM. Which Lenovo model are we talking about here? Unfortunately the site is in Croatian, but I am sure you’ll figure it all out. From what I can tell, it sells for a little under 1000 EUR. This over here can buy an Acer Aspire V 15 VN7-591G with a quad-core processor, same graphics and the ability to upgrade RAM to 16 GB. I’d rather get this one withing your budget. Thank you for the patience! I truly appreciate your help! I still have a week or two before the job starts, and I will definitelly take all your advices into consideration. This 17 inch screen woul be of help – much easier for me to work on a big screen – that’s why I thought this Lenovo could do the thing, taking into account the fact that the processor is a new one, and there is also a possibility of upgrading RAM to 16GB. I will think about the things you’ve told me. 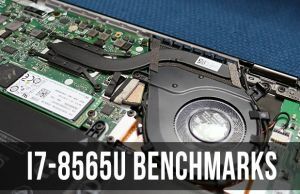 Now- that is with the i5 5200 – the i7 demands a hefty $150 addition. Do you think its worth it for powering the QHD? If you’ll be using the laptop for normal daily chores (browsing, watching movies, music, text editing, etc), the i5 will suffice. The i7 is needed for more demanding activities like running programming software, editing photos and videos, etc. I was wondering if you could provide some insight, since you said to take all variables into consideration. I’m deciding between the Dell Inspiron 13 7000 2-in-1 and the lighter Asus Zenbook UX303LA. I’m mainly going to use it for online programming classes (I’m still a beginner, learning C), and I currently use a virtual machine. Both models have 8GB RAM and are the same price. The main difference is the Inspiron has a 500GB HDD vs Zenbook’s smaller 128GB SSD (though I was just given 1TB external storage) and Inspiron’s 5th gen i7 vs Zenbook’s 5th gen i5 CPU. Important to me: light and portable, speed, longevity, quality keyboard. Unimportant: battery life, tablet functions/”yoga-like” capabilities, graphics/games. In short, I’m drawn the Zenbook since I have no real need for a tablet, it’s half a pound lighter, and I’m curious about the SSD, because I open/switch programs a lot. But is it possible i7 processor and more memory would make it run faster later in its life? Also if I get the Zenbook, is it worth $200 to double the SSD storage from 128 to 256? Also, I wouldn’t pay extra for the 256 GB SSD. Ge the base model instead and then buy a 512 GB SSD of amazon (samsung evo 850, crucial mx100) for under $200 and replace it yourself, or find someone who knows how to replace it. Make sure you get in touch with Asus first though and ask if replacing the SSD would affect warranty in any way. Hi, I’m considering the updated Asus zenbook ux303la with Intel 5th gen, should I be worried about the Asus hinge failing or should I look elsewhere other than the ux303. Well, many users report on that hinge failing and I doubt Asus changed anything with the update. That however doesn’t mean you should clearly stay away from the UX303LA because of that hinge, but you’ll have to treat it nicely. In either case I could swap the HD for my existing SSD, do that doesn’t matter to me. I’m mostly planning on using this as a desktop replacement and running two external monitors for basic use (browsing, MS office, watching and streaming videos). I plan on using this laptop for 5+ years, so I’m debating if I should spend the extra $200 to future-proof myself a little more or if I should save that money to spend on the new monitors. I’d really appreciate your thoughts. If you plan to keep the laptop for that long, I’d go with the 15 inch model. Gets you the 16 GB of RAM and the dedicated graphics that will help push those external monitors. Both of these processors are featured in the new Chromebook Pixel that was just released the other day. The core i5 5200U version comes with 8Gb RAM while the i7 5500U comes with 16Gb RAM. The SSD also doubles from 32gigs to 64. I think the core i5 is already overkill to run chrome OS, is there any reason to get the i7 version (LS)? It’s $300 more. This is assuming I want to buy it, not whether I should buy it lol. Well my Asus C200 which I love coz of its 12 hour battery and is ultralight weight has a N2830 processor with 4gb of ram but is starting to lag on netflix movies. Its fine for about 30-45 minutes and then the sound starts to not match up with the video. Is the processor not fast enough or is it a bandwidth problem? i5-5300( 2.9GHZ) with 3GB RAM vs i7(3.2Ghz) with 12 GB ram.Common scenario I will have: Matlab 2010 open and running, LabVIEW open, 7-8 chrome windows, Picassa open. what would be be best option , assuming I don’t upgrade my matlab and labVIEW, and I would like this to serve me for next 5 years. Hey man, hope you see this as it is a couple months later. If its not too much more get the i7 with 12GB RAM. 3GB is going to ruin you. Yes, sry I missed your initial reply, probably wouldn’t mean much anymore, but get the higher specked device if the budget allows. Also, that i5 probably comes with 8 GB of RAM, not 3, right? I i just bought a new HP laptop with model name/no. HP Notebook – 15-r205ne (ENERGY STAR) (L0E90EA) link for the actual product: hp.com/emea_middle_east/en/products/laptops/product-detail.html?oid=7639948#!tab=specs. I would like to know your thoughts about the configuration since im not very quite sure if this will be ok for casual gaming.It runs the Intel Core i5-5200U with Intel HD graphics 5500 6gb of ram and 2gb dedicated graphics Nvidia Geforce 820m. Thanks!!! I’m a photographer/ videographer (Lightroom & Premiere Pro CS6) needing a laptop for an assignment where I’ll be out in the field for days at a time. I need something light, portable, powerful. Am thinking about Dell’s new XPS 13 but am worried that the Intel 5500 might not be enough. Or will it? This isn’t my primary computer — it would just be for field work. Do you think the XPS 13 will work for my needs or is there a better option (really want to keep it under $1K). Thanks! Hmmm, under 1K will only get you the i5 model with 8 GB of RAM. It might be good enough for occasional jobs, I’m using Photoshop CS2 and Premiere on mine, but it really depends on how complex those projects are. You could also look for a Haswell i7 model, maybe you can find an Asus UX303LA with the HD screen. This one can also take 12 GB of RAM which should help. 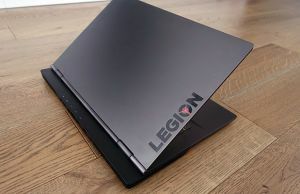 I am considering a Thinkpad T450s for my requirements which are average browsing, multimedia (movies/audio), lot of MS office (especially word and excel – I usually have 3-4 word and excel docs open at a time) and a bit of photoshop/lightroom for photo editing. Urgent help required because my laptop’s gone kaput and need a replacement urgently. My last laptop (Also a Thinkpad)lasted me about 6 years and looking to get atleast 5+ years off this one. Your config looks nice. You can get your own SSD and replace the 2.5″ bay, that should not void warranty, but better ask Lenovo about that. That 16 GB SSD is used for caching on configurations with a regular HDD. I’m not sure what kind of M.2 stick they’re using (what size), but it should be replaceable. Still, with that 3rd M2 drive that you’re mentioning, there’s no point for that. I am intrigued by the “If you can afford the i7 though…” stmt. Could you elaborate? That 300$ could get me a lot of extra stuff later on, but not sure if the i5 5200 will be sufficient in the longish run. the M2 stick they’re using is 2242 (42mm) and comments on various forums say it is replaceable. Again a little dicey on the warranty front. The 3rd M2 which I’m getting can get me a max of 256gb Transcend ssd (Not sure how good it is though)Was wondering if I could somehow make the ssd my default hdd and load my OS on it, I could avoid replacing the original hdd (500 gb 7200)while get the speed benefit of the ssd. Or even If I do replace the 2.5” bay, I get a cool 750gb space. I was also considering the Lenovo Y50 as an option but was reluctant given its lower battery life and weight. Well, this post shows you the difference between the i5 and i7. However, you’ll only notice them in very demanding applications. With daily use both processors will feel snappy enough. So it’s up to you if the i7 is worth it or not. The price difference is hefty, but if you plan to keep the laptop for that long… it might be worth it. Hard for me to say. Years ago I bought the THinkPad X220 with the fastest i7 processor available at that time, which is even today faster than an i7 BRoadwell. So I don’t regret it. But things are a bit different today with these ULV lines. You should sounder the forums and find out if that second M2 SSD can be made bootable, in order to put the OS on it. Or the 3rd one. It should, but I haven’t tested the laptop so can’t be 100% positive on that. The Y50 is a different kind of laptop, more powerful, but heavier and bigger. It also has a pretty bad screen, you should do some research on this matter. how can we say that after watching the properties of laptops/processors that this is from 3rd or 4th or 5th generation??? Neither is going to be very good for gaming but the I7 processor should help in some of the other programs. Make sure you read some reviews for both series, they might have some hidden flaws and you’d want to know about them before buying. Thank you for this topic as it helped me a lot. I am planning to go to Computex this year and I am in need of a light laptop with long batt life that I can use to edit the video footage that I shoot to upload to youtube. my question is what ultra book should I get ? will the dell xps 13 do it ? I went to dell’s site and found that there are models with touch and with out. So need advise please. Depends what you mean by video editing? Premiere? Something very complex? I use my XPS for standard Youtube clips (mostly cuts and a few text effects, nothing fancy) and it works fine. I have the i5 with only 4 GB of RAM. I do recommend getting the 8 gigs version for video editing and if the budget allow, the i7 processor. The non-touch model has a FHD matte panel and it’s cheaper and will last longer than the touch version, which offers a higher resolution display. Both use IPS panels, so the image quality is good on both of them. I’m happy with the matte version. Also,can u suggest a convertible under 1000$ for my work mentioned above in asus and lenovo. Tough to say. For the average user the i5 processor and as much RAM as possible would be better than the i7 with little RAM. I’d go for an SSD if possible though or at least a device that would allow me to swap the HDD for an SSD easily down the road. I am looking to get a Acer Aspire R7-371T-59ZK with the i5-5200U. I was wondering if the graphics on this chip will be able to handle low requirement games like TF2 or CS:GO? And BTW great article! I am looking forward to buy Dell Inspiron 13 7348 in India. My usage is mostly Internet browsing, movies, running SAS Software, running Virtual machine. The Inspiron 13 7348 comes with two options 1.) Intel I7 CPU with 8GB Ram and 500 GB Hybrid Hard Disk, FHD display & 2.) Intel I5 with 8GB Ram and 500 GB Hybrid Hard Disk, FHD display. I have the following questions. 1. For the above configurations and in future, If I want upgrade Ram from 8GB to 16 Gb and Hard Disk from Hybrid hard disk to SSD, will it be possible, I mean, will the mother board support the upgrade ? 2. Which one of the above two laptops would be a best fit for me given my usage? If you have any other recommendations (13 or 14 inch screen size) please let me know . Depends what you mean by heavily. Photoshop and Illustrator can be very demanding even for professional desktops, not to mention a measly ULV processor… Yet, if you want a mobile device and understand where to draw the line, the i5 should be enough. You could try to spend more and get the I7 though. Will it be good deal for daily use and gaming ? Should be OK as long as you don’t expect to run the latest titles at high details. The 940M chip is only a mid-range solution. I’d get the I7-5500U with 8 GB of RAM or more if the budget allows. Otherwise, I’d prioritize RAM over the CPU. In other words, I’d rather get the i5 with 8 GB of RAM than the I7 with only 4 GB. Which of the above should I prefer? You haven’t said anything about the amount of RAM, but since video editing requires a strong CPU and RAM, I’d get the Core i7 option in this case. I did say about the RAM. 8 GB DDR3 in both case. Dont you think the graphics card in my i7 model is quite weak than its i5 counterpart? i don’t thi8nk the graphics would make much of a difference in your usage scenarios. It would in games, but you said nothing about those. Did you face any problem with envy? Good review of these two CPUs. This saved me some time comparing them manually. Thank you. Hello, i am an architecture student and i want to buy a new laptop. I will be using it for AutoCAD, Revit and other 3d rendering and drawing softwares. I am confused between an i7-5500u paired with geforce 940m and i5-5200u paired with gtx 850m.both have 1600mhz 8gb ram and 5400 rpm sata hard disk. What should i go with? Could you help me deciding which processor ( i5 or i7) is more convenient for casual gaming and softwares like Matlab, AutoCad in 2D, SolidWorks and engineering apps? I also want to know if it is worth buying in the first two options the 256Gb SSD instead of the hybrid HDD. If not, which configuration do you recomend me? Sorry, i forgot to add the links of options 2 and 3. Here they are. I’d get a Core i5 processor with dedicated graphics if you want to play games. Not sure what “casual gaming” means, what kind of titles do you have in mind? Of course, if the budget allows, the I7 would show its strength in those software you mention, so at the end of the day you will have to make a trade of. Either the i5 with dedicated graphics, or the i7 without. Hello Andrei, thanks for the reply. I decided intregated graphics and more power for that kind of software, i like games such as divinity: original sin and older ones. I dont want to play witcher 3 and that kind of new games in the laptop. I want to see 1080p movies without freezing and get a decent work-laptop for 5+ years. I wanted to ask you, if its worth to wait and get the i5 5350H instead of the i7-5500U (is there any difference in performance between these two?). But i dont know if the 5350H is gonna be available for laptops or only the high end 47W i7s will. Thanks again! Greetings from Argentina. I haven’t tested any Broadwell full-voltage CPUs yet in any laptop so I can’t yet tell how they will compare to the Core i7-5500U ULV CPU. Im concerned about the heat using the i5-5350H, if you take the i5-4200H for example and compare it with the 4th gen i7-4500U. Is the performance of the 4200H much better and noticeable? For normal use and using that kind of software will be the 47W a lot hotter than the 15W? Im going to buy a 15.6″ laptop so, will i be ok with 47W, or is better 15W because is more or less the same performance and colder. Im thinking this because the i5-5350H will be only 2 cores. Which is your opinion about this? The H processors are faster. You can find benchmarks on sites like notebookcheck.net and compare the two series. The also run hotter for sure, but that will depend on each implementation. 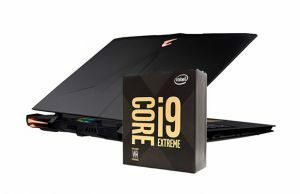 Would an i7 run less hot than a i5 on a spectre x360 during normal load? Only use Photoshop and video editing from time time, rest is office use and surfing. Well, no, it would be hotter since it runs at a higher frequency. You won’t see any noticeable difference with casual use though, since in this case neither CPU would actually run at full strength. Any idea who the best/quickest supplier in Europe would be? Would need to be shipped to Italy..
i5 5200u, 8gb or 16gb Ram 256 or 512 SSD with a good battery life. I was looking at the thinkpad and dell. I’m planning to buy a dell xps 13 in Japan, where they have a non-touch i7 model. I’m not sure whether to buy the i7 or i5 version because I’m concerned about the battery life, the price is exactly the same though. Is there a significant difference in battery duration between the two models? With everyday tasks the difference should be minimal (within 30 minutes, I’d say). I expect the i7 to run a bit hotter which will cause the fan to kick in more often. 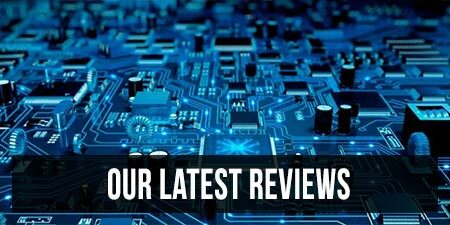 I just saw this review of yours and I really wanted your input on laptops. So i basically need a laptop for college purposes. Something which will allow me to carry out research and analysis. This requires me to have multiple tabs open most of the time. Apart from that I need something that I can use on a daily basis and something that is lightweight. I was planning on buying the HP spectre x360, but I didn’t know if I should buy the i5 version or the i7. I mean, does it make any sense for me to spend an additional $150 to buy the i7? Both the variants have 8gb ram and 256ssd. the i5 should be OK if you only need to have browser tabs open. The i7 would be worth it for photo editing, programming and other such intensive tasks. Hey Andrei, can you tell me which is better for Photoshop, a HP ab035tx or Lenovo Z50? Both have i7, but HP is 5th gen i7. Also does increasing ram better battery time? Can I change the 4 cell battery of HP into a 6 or 9 cell? Thanks. the 4th and 5th gen processors are really close in terms of CPU power, so I’d base my decision on the amount of RAM on the configs, as well as their potential shortcomings. I haven’t reviewed either, so can’t share any hidden details, but you should look for some good reviews and know what to expect (and what falls short) from each of them. Hey Andrei, I am an IT Professional and use Visual Studio, Eclipse, SQL server 2014 among similar Softwares. Currently using a very old laptop with mere config. or should i wait for SKYLAkE ? Hi Jason. Do you need a full-size laptop (15-incher) or something smaller? And do you have a max-budget? There are good options available today, but if you can wait till Q1-2015, Skylake should offer a significant performance boost. Any thing bw 13-15 inch will do. Budget in the vicinity of 70k-80K INR. What does that mean in USD? I want to buy one of those mini desktops. my actual pc has 6 years old and is ->intel core 2 3 gb ram. 500gb hdd. and i have suficient space for save the archives of work. please in your opinion ¿what is the better choise?. If you plan to use Photoshop I’d get the Core i7 model out of those two. But does it have to be so petit? Not sure what your budget is, but I’ve been looking for a compact PC for pretty much the same things you’d want to do and I decided to just build a desktop into a microATX case. Aim for a Core i5 Haswell desktop processor and you should be golden for a while. Even a Core i3 should be faster than the ULVs inside these barebones. The tradeoff is the size of the computer, ofc. But I for one gladly traded that for performance. – School: Taking notes, programing in Java, C++, .NET. Sometimes using VMWare for some linux things (without GUI). First, read this post: https://www.ultrabookreview.com/4596-asus-zenbook-ux303la-ux303ln/ . The UX303LB is the updated version of the UX303LN. I’d probably get the UX303LA between the two, due to the more powerful processor. But the amount of storage is limited and you’ll probably have to upgrade in the future. If it wasn’t for the programming software, I’d say the Core i5 would suffice, but in this case I’d get the faster processor. The Storage can be later upgrade, the CPU cannot. Hi. I am an electronics engineering student. I wish t buy a laptop which will suffice my needs till I finish my MS , that’s 4 year from now. I want to buy a HP laptop and Ab-032tx and ab035tx seem to be the ones in the stores now. Please enlighten me on the various aspects and suggest a best buy. I wouldn’t mind about the price , though my budget was aroud 55K, if its worth I wouldn’t mind shelling a little more. Please reply soon. I need to buy as soon as possible. Yor web site is extremely helpful. Thank you! After 7 years I am looking for a new laptop,with speed, I am considering a SSD and wanted 16 gig of RAM. It seems so many you can’t upgrade to this RAM if needed. Why is only 8 gig of RAM, without paying dearly the norm? I would like a good keyboard. I like to run 2-3 programs at a time, not graphics or games. This is for home use. Every model I look at there are problems. I was considering a 14 or 15.6 model. Any assistance would be helpful. I need to decide between 2 alienware 13 configurations. One has an i7, the other has the i5, there are no other differences besides the one with the i7 can only have an ssd and the i5 can have either. The one with the i7 is $1600 and the other is $1250 with the configurations I have made. Anyone want to give me a hand here? Thinking about getting Lenovo Yoga 3 (link below) for college use and occasional GoPro editing. Planning to get a external HDD 5400rpm for storing large files. Would this laptop suffice for editing some videos and offloading to ext HDD when i finish?? It should be fine for small projects. Don’t expect to do the kind of work you’ll be doing on a powerful desktop though. I use a similar config with only 4 Gigs of RAM for my on-the-move edits and it does the job. Hy, I just wanted to thank you for your cool comparison here. I am going to buy a XPS13(2015) and i couldn’t decide between i7 and i5. At the end your comparisson and the fact that i7 is bound to QHD tochscreen ,which means some hours decrease in max. battery life, made me choose the i5 model. i find some customer reviews of ab032tx, reviews are good. And the plus point of HP pavilion series is HP is giving the warranty with ADP (Accidental Damage Protection). Dell Inspiron 15 i5558-5717SLV Signature Edition (15.6-inch Full HD touchscreen, Intel Core i5, 8GB memory, 1TB HDD, Windows 10) with MaxxAudio. I’d b greatful to you, please review on that laptop. I would like to buy a new computer, i do mostly internet, office, pictures, music and i like to play at the game Sims3, thats it. i have 2 computers in mind but dont know which one to choose,the one i have now is 10years old still working and its an Asus, i dont know anything about Lenovo. Should i choose a I7 or the graphic? WEll, those are standard laptops and not exactly the kinds I usually cover. I’d suggest heading to notebookcheck.net and search through their reviews, should offer more answers than I can. Is it possible to upgrade the i5 5200u to a better processor? And if it can which one. No, processors are not user upgradeable on 99% of the available laptops. I have got dell 5200u. I’m unable to make keyboard back-lit on. Please, Guys help me out. You maybe have already picked one of the two that you mention. I can tell you that I am glad with my ASUS Q551LN Core i7 5500u nvidia 940m 1TB hdd no SSD. What I can tell you is that the only positive aspect that I see in the core i5 laptop is the hybrid HDD, and I can tell you that since it is only the bootable part of the disc that is faster, your CAD programs and 3d games will not be improved since they are allocated in the regular HDD. Summarizing, I think you will be better off with the core i7 asus laptop. I am pretty sure that the boot time of the core i5 is well compensated with the overall specs of the core i7 laptop. Is the i5-5200U CPU soldered into the Laptop PC or can it be pulled out?